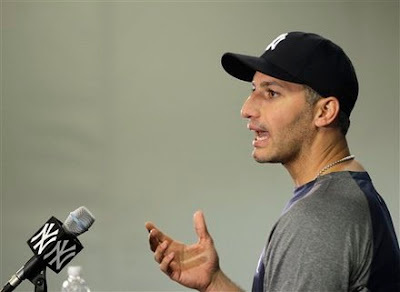 ****5/11/13, Pettitte-Rivera win-save #81, 70th in regular season, final 3-2 vs Royals. along with then 10 post season win-saves for then total of 78. 11. Game 2, 2010 ALDS, NYY @ Minn.
8 of the above post season win-saves were multi-inning appearances for Rivera. Honorable Mention: The "Bugs" Game, Game 2, 2007 ALDS, NYY @ Cleveland, 2IP for Rivera. Pettitte and Rivera appeared together in other games that didn't have the exact technical requirements for a win-save combo. *References: 4/19/10 NY Post article notes 65th reg. season combo on 4/18/10. 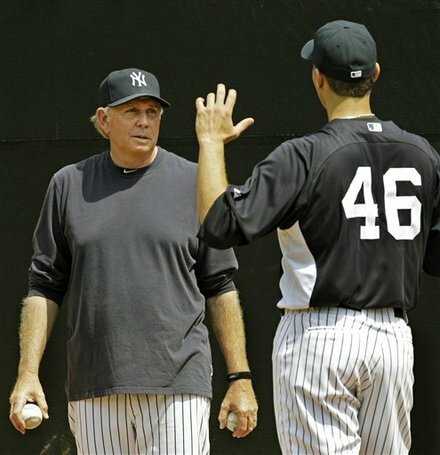 May 26, 2010 was their 66th regular season win-save combination. 6/11/10, 4-3 win for the Yankees at the stadium (6/11) was 67th regular season win-save. July 8, 2010 in Seattle was #68.
even when the player has post season and all star stats.